All brick beautifully transformed Cape Cod. Enter into the open concept living area and be captivated by the ship lapped walls and refinished hardwood floors throughout the home. The adjoining open updated kitchen is adorned with brand new gas range, stove, dishwasher, refrigerator, disposal, custom made butcher block counters, refinished cabinetry. 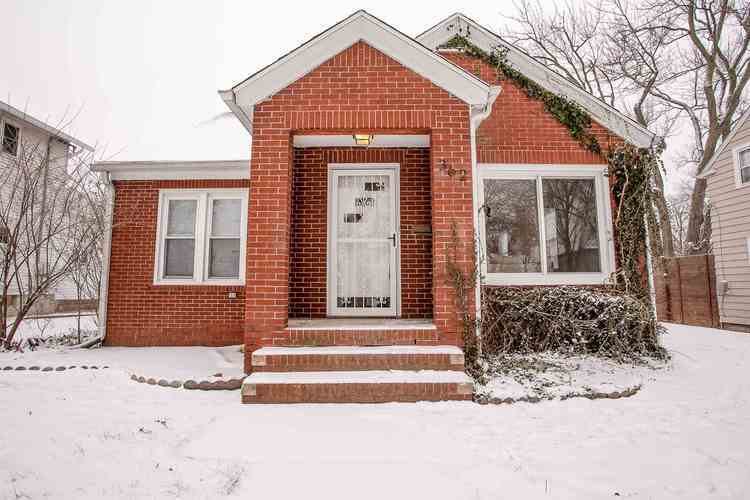 The 4 bedroom, 2 bath home features new, tasteful tile work in kitchen and baths. Baths gutted including plumbing sparkle with new everything. The modernized home features a 40x16 basement area with a cozy electric fireplace has new laminate plank flooring, freshly painted two concrete walls and paneled areas. The stairway down is newly carpeted. More improvements include new roof tear off, three replacement windows, updated electrical, gravel in driveway. A Large lot and a basketball court too! Directions:Coldwater to North Clinton, veer left where Spy Run begins, to Penn, turn east. Coming from N Anthony turn right, take State to Spy Run, turn right , right on Penn. Home on right side or south.